It’s review time! I don’t do many reviews (if any at all) on this blog, so I decided I may as well start. 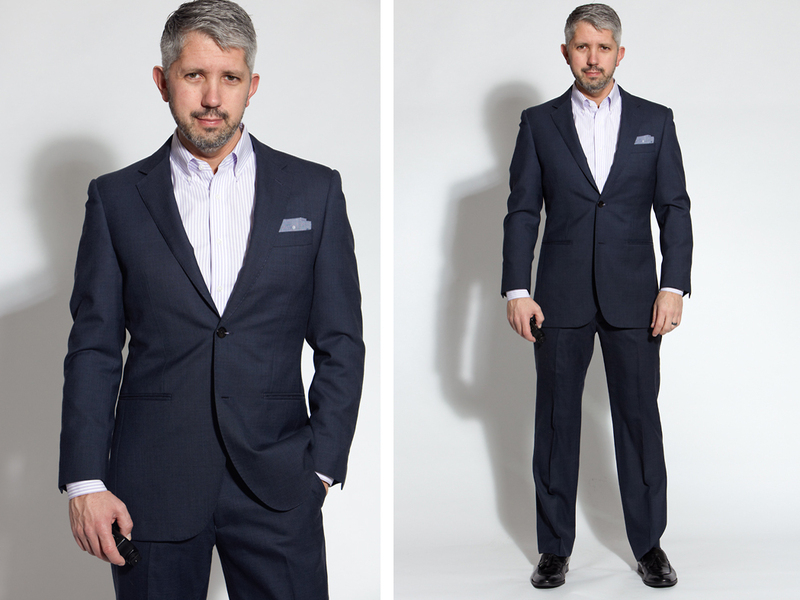 In this post I’ll be reviewing a custom, made-to-measure suit from Indochino. 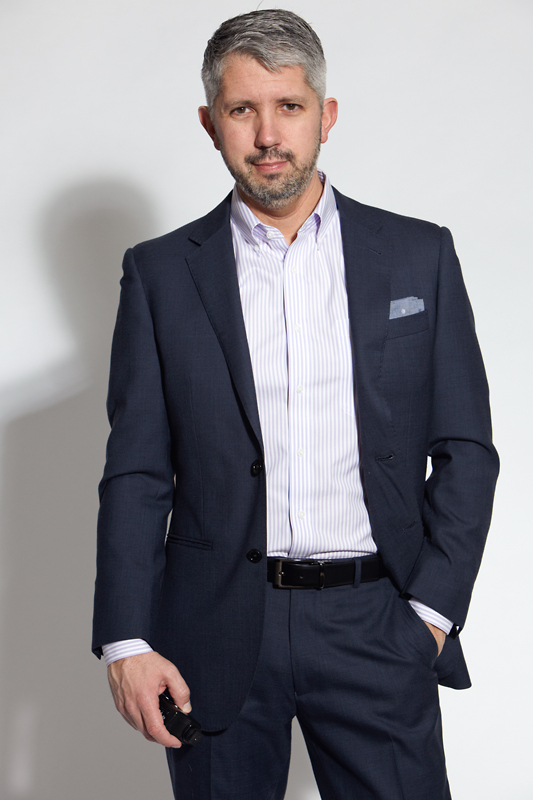 If you haven’t heard of Indochino before, they’re a clothing company that makes affordable, good quality suits, blazers & shirts based on your body measurements. 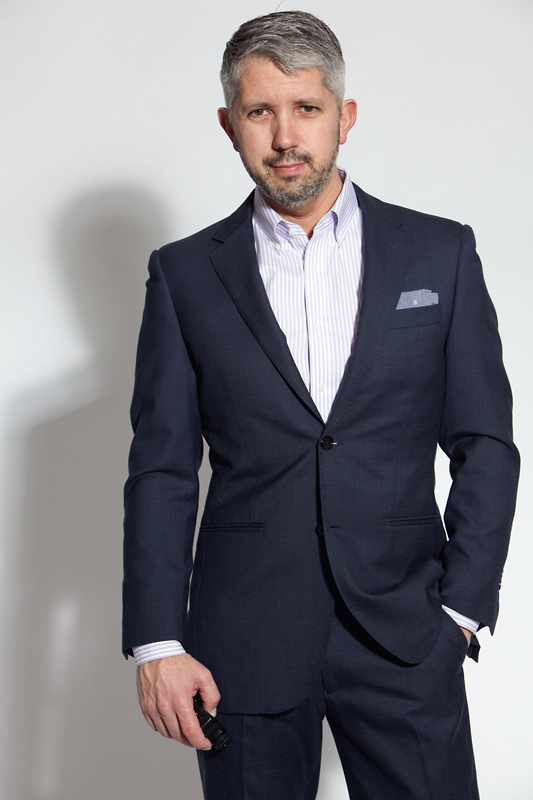 There are a lot of similar companies out there, but I only have first-hand experience with Indochino. 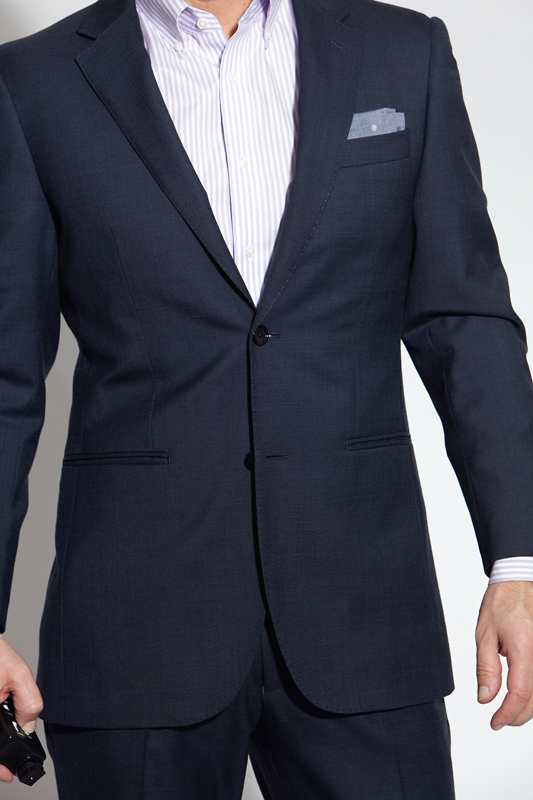 The suit I’m reviewing is the Essential Blue suit made from super 100s 100% wool. Today’s cost listed on their site is $449. When I received the suit, the jacket fit pretty much perfectly. The button is a smidge too high for my torso, but it’s totally acceptable. The pants were a good length and fit perfectly in the waist, but they were a little baggy through the seat and legs. 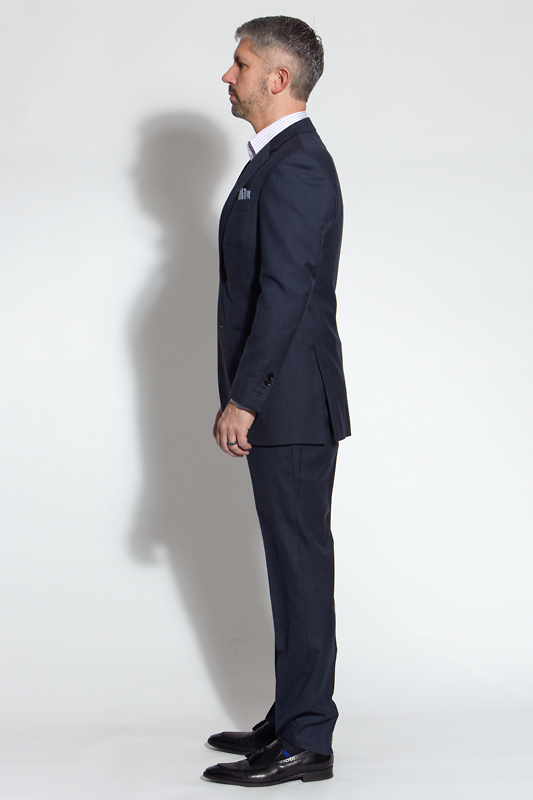 I like my suits a little more fitting and tapered through the leg so they have a more tailored appearance. 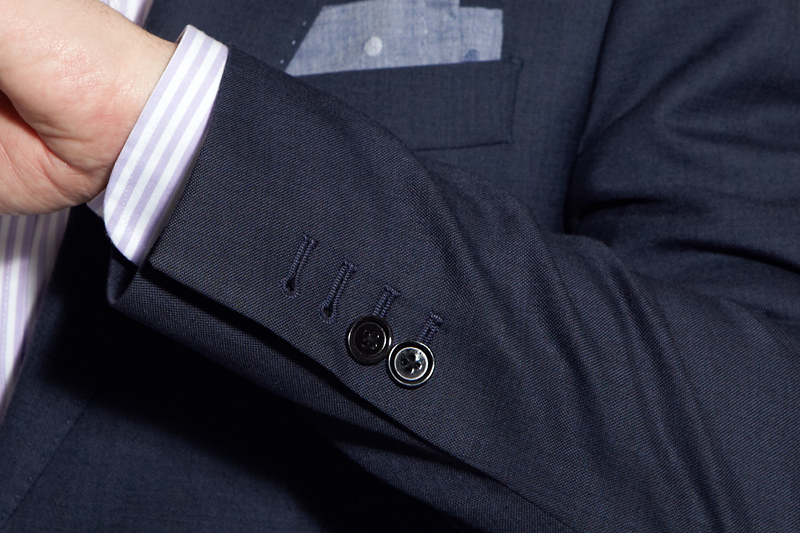 Indochino gives you a tailor allowance so you can have any details taken care of by your local tailor, which I did. 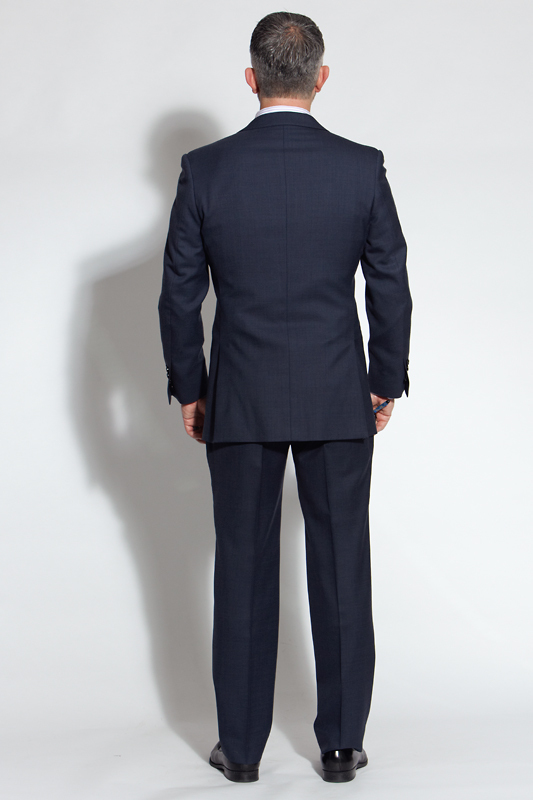 You can just make changes to your measurements on their web site so the next suit you buy comes ready to go. Close up pics showing the fabric and functioning sleeve buttons. 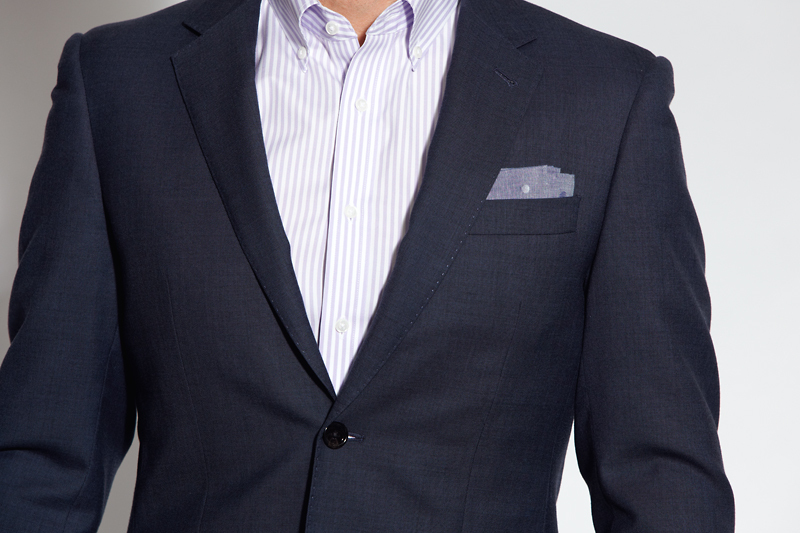 The Essential line is their basic, inexpensive suit. I didn’t feel like spending the money for their premium line until I tried them out first. I’ve owned the suit for some time and I love it. It’s good quality and construction for the price and it fits me well. The trousers could be a little slimmer, but they’re fine really. I’m just being hyper critical. 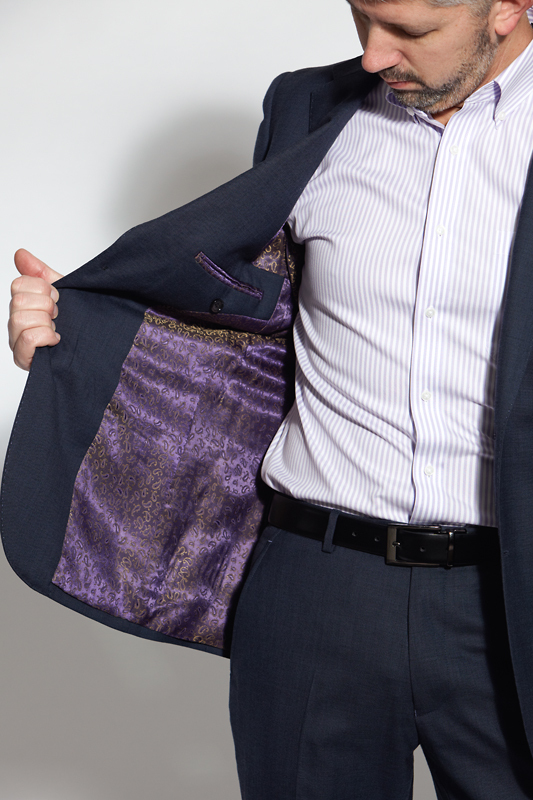 I went with a really cool purple and gold paisley lining with purple felt under the collar. The back of the vest is also purple. I don’t see that particular lining on their web site any more, but there’s more new options that look really cool. Would I buy another Indochino suit? Yes. The only thing is, there’s a Suit Supply here in Seattle and they have very similar pricing with more fit options and patterns. 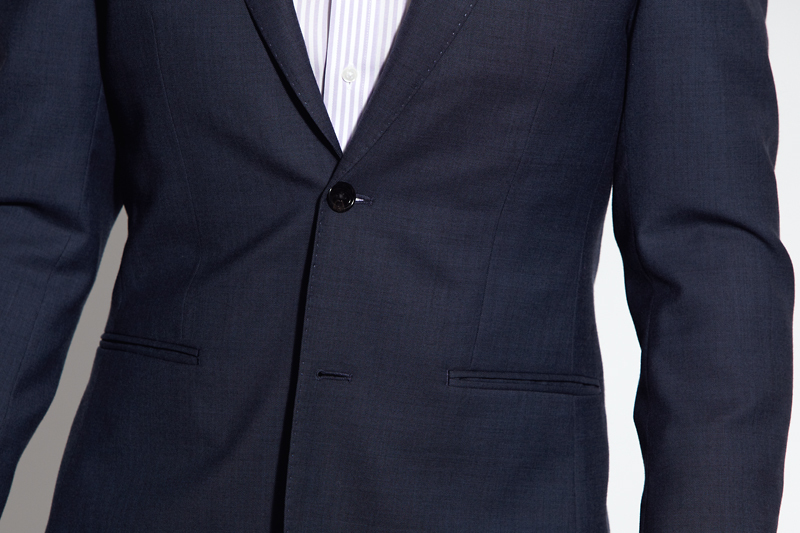 Still, if you want a good quality custom suit, you can’t go wrong with Indochino. This suit gets a lot of use and I’m totally happy with my purchase. If you decide to buy from Indochino be sure you read the fine print. I now have 2 suits that don't fit and customer services says "we will not be able to assist in this situation anymore."